In 2003, St. Andrew’s in Seguin celebrates its sesquicentennial, and Elizabeth Hollamon has written a history of its 150 years of existence. 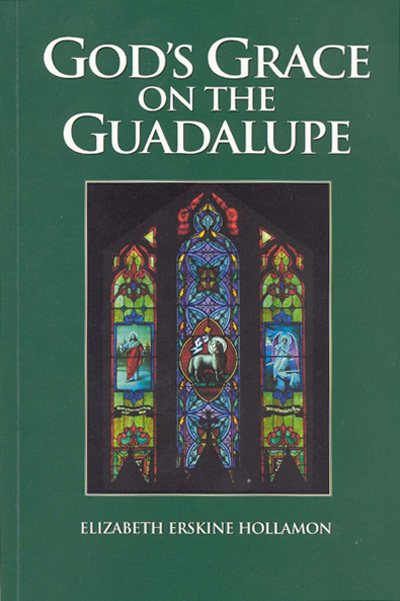 In so doing, she has traced the development of the Episcopal Church in Texas, from the first visits of missionaries to the fledgling Republic to the thriving institutions of today. St. Andrew’s began with six people in 1853, and now consists of over 500 members and covers a block and a half in downtown Seguin. 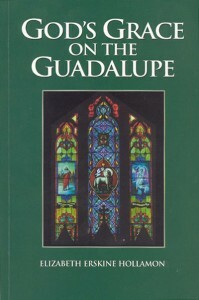 The book’s 12 pages of color photos include all of the bishops, from Leonidas Polk in 1838 to Bishop James Folts, who presides over the Diocese of West Texas today. There are 21 photographs of the splendid stained-glass windows in the old and new parts of the building. Hollamon discovered that much of the early records of this church had vanished, but as a fourth generation member herself, she had much family history and newspaper files to lean on, and has accomplished a wonderful – and entertaining – story which could serve as a prototype of how to produce readable history. The fan mail will keep on coming with the publication of this collection of her choice essays. Her sense of humor will delight the reader, and the occasional serious articles are wonderful food for thought, especially on the state of education today. This edition is no longer for sale.